One of the most exciting areas of research we have covered here at Health Impact News the past year has been regarding the high-fat ketogenic diet and how it can cure cancer. The ketogenic diet is not new. This high-fat low-carb diet was developed at John Hopkins Hospital in the 1920s for children suffering from epilepsy. They found that children who did not respond well to anti-seizure drugs often became seizure free after following a strict ketogenic diet. The diet is named after "ketones", which are an alternate source of energy supplied to the brain when the body reaches a state of "ketosis". One can generally reach a state of ketosis by fasting from all foods, but you can also experience the effects of ketosis by eating a diet high in fats with very few carbohydrates, limiting insulin production. 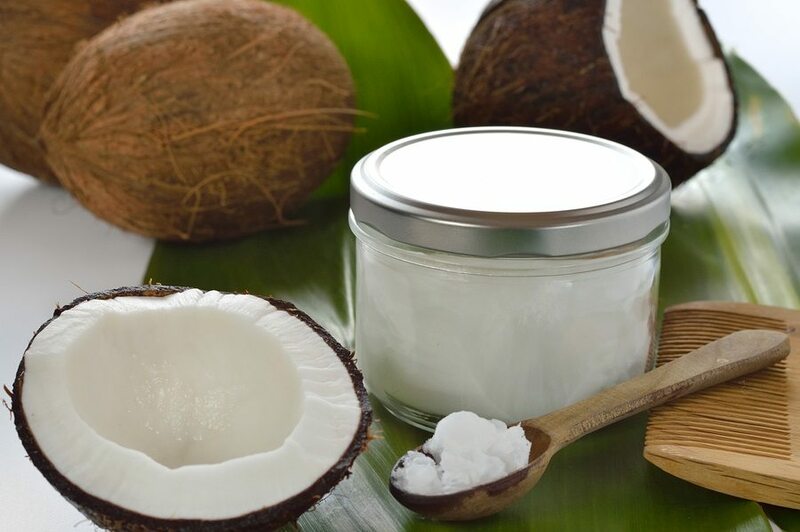 Coconut oil is one the best fats to use in a ketogenic diet, as it leads to more rapid ketosis. Research shows the ketogenic diet literally starves cancer cells. This fact is becoming widely known, even in the medical community, as they look for ways to develop drugs to mimic the effects of the ketogenic diet. One of the reasons they want to develop drugs to replace the diet, is because the diet can be so "restrictive", and it is very difficult to break people's addiction to sugar and processed carbs. One does not have to wait for drugs to be developed, however, to start enjoying the benefits of a ketogenic diet. People who are following a ketogenic diet are beating cancer, reversing Alzheimer's disease, stopping seizures, beating diabetes, losing weight, and much more. 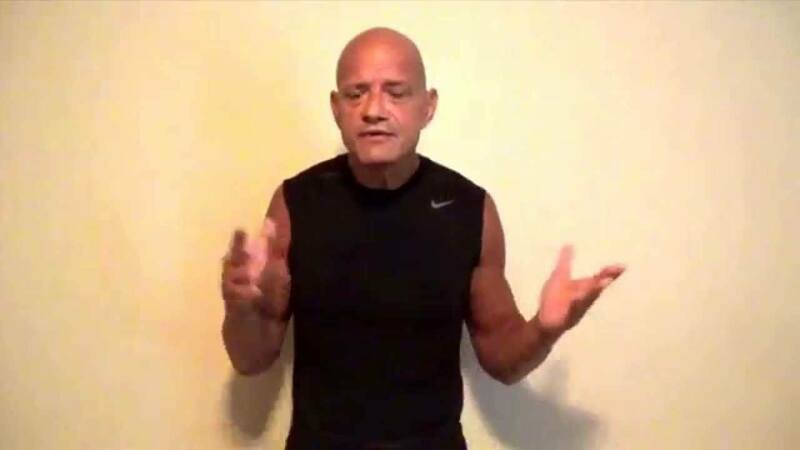 In this video, Joe Mancaruso explains how he beat stage 4 lung cancer with a ketogenic diet, exercise, and positive living. He was given 6 months to live by the doctors, who wanted to put him on chemotherapy. Joe was already a survivor of testicular cancer from 1985. Since he supposedly only had 6 months to live, he decided he wanted a better quality of life during those 6 months than he would have had on chemotherapy and refused the drugs. Today, he is cancer free. A study published in April 2014 compared two diets with overweight diabetic people. One group ate the standard recommended diet by the American Diabetes Association, which was a low-fat, high carbohydrate, restricted calorie diet, as per the USDA dietary guidelines for a "healthy" diet. The other group, almost in direct contrast to the ADA diet, was encouraged to eat a a very low carbohydrate, high fat, non calorie-restricted ketogenic diet. The results? The ketogenic diet group, although eating far more calories than the ADA group, lost more weight, and more ketogenic dieters reduced their diabetes medication than did the ADA group. Alix Hayden has brain cancer, but instead of undergoing surgery and grueling chemotherapy, she's fighting it with the low-carb, high-fat ketogenic diet and has been doing great so far. Some of the most exciting research to come out in the past few years regarding the high-fat low-carb ketogenic diet has been in the area of cancer treatment. The results are so promising that new "ketone" drugs are in the pipeline. The ketogenic diet is a high-fat, low-carb, and moderate-protein diet that was first developed in the 1920s at John Hopkins hospital to treat epilepsy. Some children with seizures saw great success on the diet, often where drugs had failed. 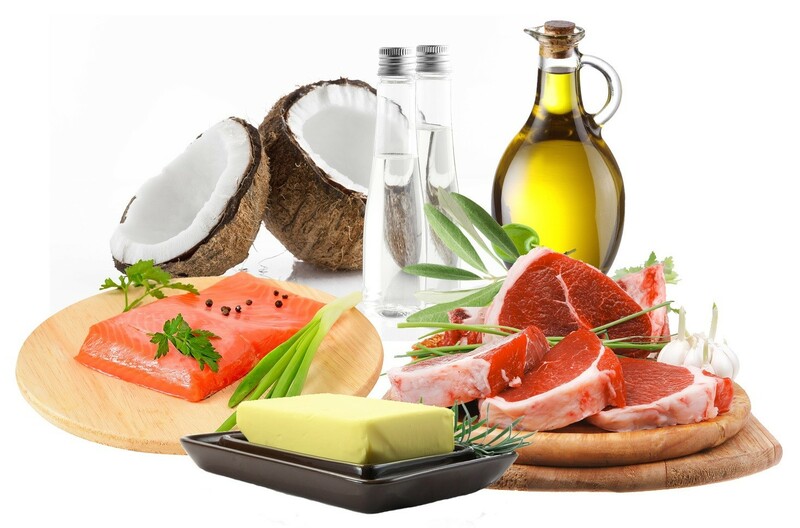 Today, the ketogenic diet principles -- particularly using coconut oil as the main fat -- are being used to treat neurological diseases such as Alzheimer's, as well as successfully treating cancer. A high-fat low-carb ketogenic diet can optimize your metabolism. Numerous studies have shown that lowering your caloric intake may slow down aging, help prevent age-related chronic diseases, and extend your life. As you age, your levels of glucose, insulin and triglycerides tend to gradually creep upward. 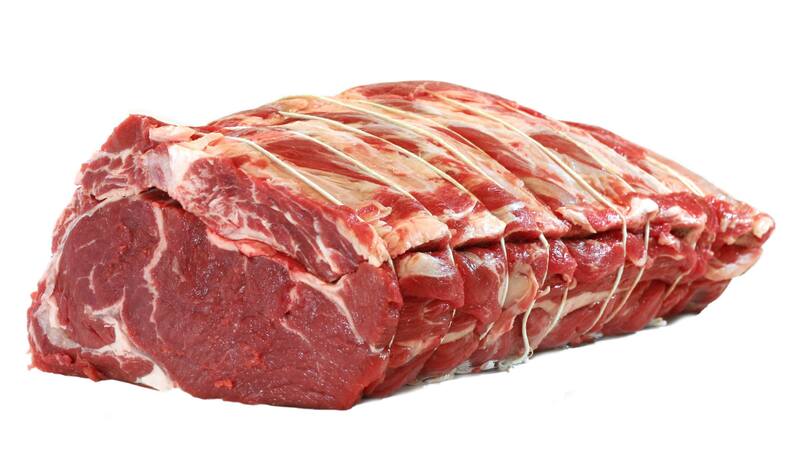 A 2010 study examined the effects of a high-fat diet on typical markers of aging. Study participants were given a high-fat, low-carbohydrate diet with adequate protein, and the results were health improvements across the board. Serum leptin decreased by an average of eight percent, insulin by 48 percent, fasting glucose by 40 percent, triglycerides by nearly eight percent, and free T3 (thyroid hormone) by almost six percent. A high-fat, low-carbohydrate diet called 'ketogenic diet' could be used to control seizures in epilepsy patients. According to a latest study, there is a direct link between metabolism in brain cells and their ability to transmit signals. The research by scientists at McGill University and the University of Zurich shows that metabolism can control "the processes that inhibits brain activity" seen in people with epilepsy. The study team wanted to know why putting children with epilepsy on high-fat and low-carb diet is effective in controlling seizures. Other researchers had previously assumed that metabolism and signalling in brain cells are un-related processes. However, the current study shows that both the pathways are connected. The ketogenic diet lost its popularity post-1950s after anticonvulsant drugs hit the market. But, these drugs carry many side-effects and also don't work in about 20 percent of the patients. The current study might offer a different approach on controlling the condition. 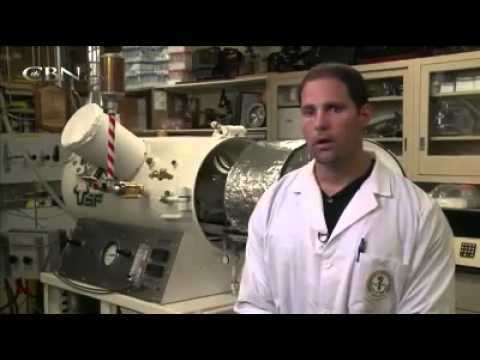 The Deanna Protocol is gaining national attention as an alternative natural treatment to slow down or even stop the progression of Amyotrophic lateral sclerosis (ALS), commonly known as "Lou Gehrig's disease." In the video below the physician who discovered this protocol gives his story. He is a retired surgeon, and when his daughter was diagnosed with ALS, he looked beyond the conventional medical system, which offered no hope, and turned to nutrition and natural methods instead. The protocol utilizes GABA and other supplements (see Table below), along with a ketogenic diet. 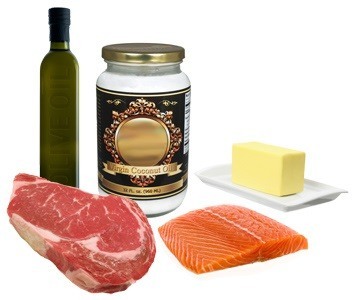 The ketogenic diet is a high-fat low-carb diet that has been used to successfully treat many neuro-degenerative diseases, such as Alzheimer's, and it has been successfully used to treat epilepsy where drugs fail. We have reported much of the research regarding the ketogenic diet here at Health Impact News. The ketogenic diet is currently being studied in its effect on starving cancer cells. Coconut oil is an important component of a ketogenic diet, as it provides ketones due to the presence of medium chain fatty acids. We reported the story of "Clarence" back in 2012, who claims he actually reversed ALS by eating large amounts of coconut oil. One of the truly exciting new frontiers in nutrition therapy is the study of the high-fat low-carb ketogenic diet, especially in relation to preventing and curing cancer. The ketogenic diet as a therapeutic diet is not new. It has been around at least since the 1920s, when researchers at John Hopkins discovered that the diet could cure some children from epileptic seizures where drugs had failed. In 2013 we published a few stories highlighting new research showing the ketogenic diet's value to cancer patients. Many of these studies are looking at not only the ketogenic diet, but also the concept of intermittent fasting or calorie restriction. These are beneficial aspects to study, as generally they cannot be mimicked by drugs. There are indications that the way the ketogenic diet produces "ketones", or the "ketogenic effect", is being studied in order to produce pharmaceutical products (drugs or vaccines) that can mimic the same effect. With years of experience now documented in using the ketogenic diet with children suffering from seizures, one of the most common complaints is that the diet is difficult to adhere to, as the child has to abstain from refined carbohydrates and typical childhood sweets such as cakes and candies. The reasoning is that a drug would make life more bearable instead of following such a strict diet. I am very encouraged by this recent study, published in January 2014, looking at the ketogenic diet and intermittent fasting as an adjunct nutritional therapy to be administered to cancer patients undergoing standard radiation therapy in cancer treatment. The study provides "dietary interventions" to be used along side "radiotherapy". Therefore this is not really a study that lends itself to developing more pharmaceutical drugs. However, will physicians in the allopathic medical field seriously consider rigorous diet therapy? Of course, there are plenty of cancer therapies that are effective and non-toxic, but they are not covered by insurance companies in the U.S., and most of them are not approved by the FDA, so one must go south of the border into Mexico or travel to another country to receive the best non-toxic cancer therapies. A time-lapse GIF of a 26-year-old woman's dramatic weight loss has gone viral. The clip shows the woman's 88-pound transformation in the space of just five seconds. 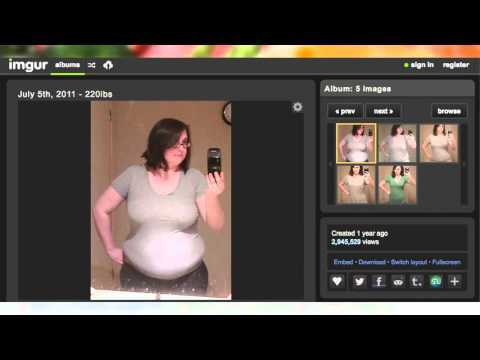 Amanda - who wishes for her last name to remain a secret - started taking pictures of herself in 2011, to help her stay on track during her weight loss journey. Amanda started weighing 222 pounds. She lost 88 pounds following the ketogenic diet. Learn more about the Ketogenic Diet. Wonders of the Ketogenic diet: Two Men Who Ate Nothing but Meat for an Entire Year! Low-carb diets and paleolithic nutrition are all the rage these days, and for good reason. Compared to the Standard American Diet, both of them are superb. Few of us would dare to take the two to their extreme, however. Giving up sugar and wheat is one thing, but what about giving up everything except meat? Yes, I'm talking about an ultra low-carb diet with even foods like nuts and berries removed. Unsurprisingly and understandably, studies on the long-term effects of such a diet are severely lacking. There is at least one study that did just this, however. Dr. Vilhjalmur Stefansson, the Canadian ethnologist who spent more than a decade with the Inuit during his arctic explorations, lived almost exclusively on fish and meat for 9 years. At the time, this was considered heresy and life-threatening, just as it is today. To the surprise of many (including Stefansson himself), he suffered no health problems during his decade of pure carnivorism. When he told people of his amazing experiences, he was met with skepticism from medical authorities who asked him to undertake a study that would replicate the results. He and a fellow explorer named Andersen agreed to eat an all-meat diet for an entire year in a closely observed setting. A girl with a rare genetic condition has finally spoken her first words thanks to a diet that involves eating four tubs of cream cheese a week. Delighted mother, Stevie, 34, said: "The first time I heard Fields say "Mum" it was just wonderful.I didn't really believe that something so simple as changing her diet could make such a big difference."